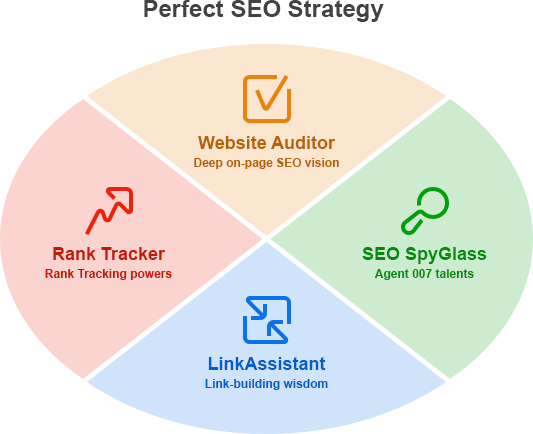 SEO PowerSuite Professional – 149 USD instead of $399 for free-spirited website owners and mindful webmasters. You save $250! MacZot ran this same promotion on April 26th, 2010, which I bought and paid $149.40 for, but I didn’t realize that I would only have access to it for 6 months, after which I was asked to pay again, but this time at full price of $399.00 if I wanted to continue to use it. Is this the same this time around. I am not happy at all, and even though it is a good product, I have bought it once and quickly could no longer use it. Not happy with this one! This is a wonderful deal. I have bought the whole pack without the discount earlier, sure it would be nice to have it with the discount, but I am not sad – the software is great and is worth every dollar. What is more, it works on iOS which is awesome, because SEO software providers are not eager to make products for this OS. Nice to meet you guys, I am a developer at Link-Assistant.Com (SEO PowerSuite provider) and I would be extremely happy to answer all the questions that might appear. I also wanted to comment on the situation of Quietlight user. Maybe you got it wrong or something, we could never offer you to buy the full license after you had already bought it. It’s against our policy. The license is lifetime! We also offer algo updates for our software. They are free for 6 month after the purchase, and after that the algo updates price is very low and can’t be compared to a full license or monthly fees that many software providers offer. Our updates are paid, though cheap, because any SEO software must be updated regularly so it works properly even if some changes are applied to search engines or other services. And we work constantly to keep our products up-to-date. Cool stuff. Thanks for the deal – I heard a lot about this software, now will buy for sure, also tested the free version today and was very impressed. I think it’s going to save a lot of time for me. Excited! Given the comments this seems like one that could use a “ThanksZOT”… no? Meh – I’m with Quietlight. While you do have a full license, forever, it stops working without the updates that come every 6 months or so. There’s nothing here that says that, nor is there anything here that says how much the upgrades are. They should charge what they want for software and updates, but they should inform potential buyers as to how long the software will last and how much mandatory updates cost. The fact that this isn’t mentioned screams “SHIFTY” and not worth my money or time, no matter how good the software is. Buyer Beware. is interesting. They essentially are selling an subscription service if the software stops working properly without regular updates. Nothing wrong with that, but it dramatically alters the economics of this deal. Thanks for your responseGoogleGuy. The fact remains that after 6 months you are required to subscribe which is not a “normal” requirement with MacZot purchases (I have bought about 50 of the MacZot deals so far) I was never made aware of this when I spent the $150 originally, and the net result is I wasted that $150 as I don’t have access to it at all now. Also, there are various levels available, and the one you get for the $150 is relatively useless and you really need to spend much more to really do what the advertising claims right from the start. I have no doubt the product is good, but you really need to spend some serious money to make it work. And after I did spend $150 some time ago, I have nothing to show for it.